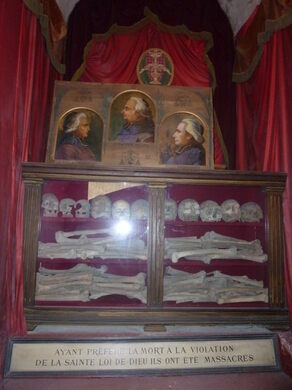 The recovered bones of martyrs slaughtered during The Terror are on display in this church crypt. Despite reminders of the French Revolution nearly everywhere you look, the one thing that can be hard to fathom in modern-day Paris is the sheer terror of The Terror. There’s at least one place where the violence of the French Revolution is still palpable, however. The Sun King's military models, saved from the Louvre. 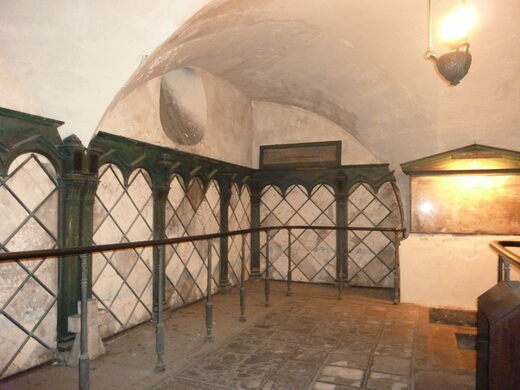 Every Saturday at 3 pm, you can take a guided tour of the crypt beneath St. Joseph des Carmes. 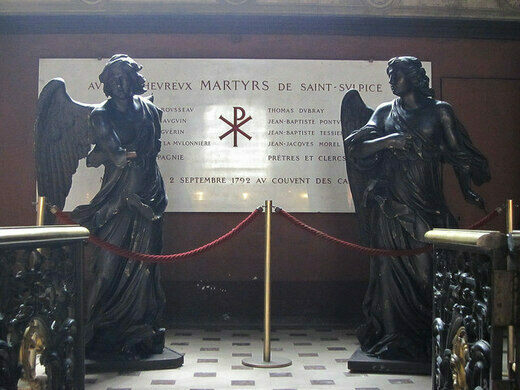 There you can see the battered remains and bloodstains of some lesser-known victims of The Reign of Terror: a group collectively known as the martyrs of September. The martyrs were a group of priests, seminarians, bishops, and, most famously, the Archbishop of Arles. 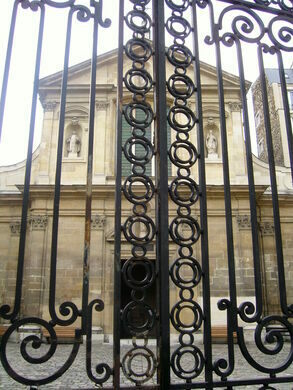 They were rounded up by a mob of sans-culottes and imprisoned in the convent near St. Joseph’s after refusing to take an oath that undermined papal authority. The mob’s punishment for this transgression was quick and especially brutal. 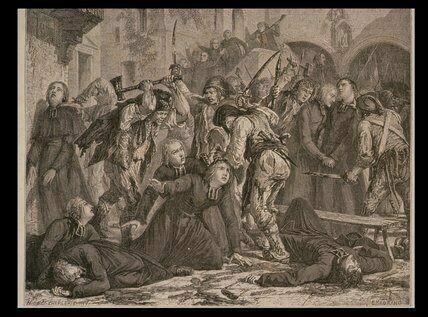 They began killing their prisoners on September 2, 1792, when they bashed in the Archbishop’s head, stabbed him, and trampled the body. The following day the mob set up a kangaroo court to try the remaining prisoners. Martyrologist John Foxe described them as soaked in blood up to the elbows with executioners and judges freely subbing in for one another without bothering to wipe the gore off their hands. Unsurprisingly, nearly all the clergy members were found guilty. But instead of condemning them from the bench, the judges simply told them they were free to leave. Each defendant left down the same stairway and at the bottom there were plenty of people waiting to hack their bodies apart. When it was over, 190 people were killed at the convent in just two days. Their bodies were laid in heaps, carried away on carts and thrown in a pit and covered in quicklime. In a separate room, bloodstained paving stones are displayed. The spilled blood, coupled with the list of names of the martyrs and the portraits of the executed bishops, allows us an unusually visceral, yet empathetic look at these casualties of the Terror. An overlooked marble is the only surviving in-place 18th century example of the measurement that changed how we define distance. This 18th-century sundial was designed to calculate the date of Easter each year. A popular shrine where the Blessed Virgin allegedly appeared in 1830, displaying a holy armchair and two incorruptible remains of Lady Saints. A more than 260-year-old crypt built on Boston's oldest English burial ground. Built on a medieval synagogue, this church has a burial crypt, tunnel system, and Jewish ritual bath hiding deep underneath. Seventeen members of the local royal family are interred in this Baroque church in northern Germany.